The acclaimed sound engineer will play a guest role in the film directed by his childhood friend, Jayachandran Ayalara. Resul Pookutty (Express Photo bysss A Raja Chidambaram). 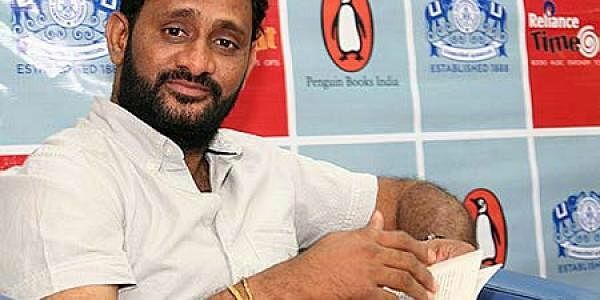 KOCHI: Resul Pookutty, the Oscar-winning sound designer, will be facing the camera for a change, giving in to the gentle prodding of his childhood friends. ‘Sneham + Ishtam = Amma’, the maiden venture of Jayachandran Ayalara, who has won accolades for his documentary films, will have Pookutty, his school and college mate, in a guest role. Apart from Jayachandran, the film has another dear friend of the Oscar-winning cinematographer -&nbsp; cameraman S G Raman, who had adamantly sent the application to Pune Film Institute on behalf of Pookutty long ago. The film had its official launch on Friday at SP Grand Days Hotel, Panavila. Kavalam Narayana Panicker; Hajamoinu M, who is scripting the movie; M G Sreekumar, who is composing the music; and dubbing artist Bhagyalakshmi attended the ‘pooja’. Kavalam said that it was his acquaintance with Hajamoinu that brought him to the function. M G Sreekumar recalled the first movie for which he had worked with Jayachandran, a Mohanlal-starrer based on the life of Kunjan Nambiar and scripted by Kavalam. He hoped that the movie, which was canned sometime back, would be released soon. One of the lead characters of the movie, the mother of the hero, is essayed by Revathy. Debutante Shahin, who has made a mark as a model, plays the role of Revathy’s son who has a deep bonding with his mother. Vandana, who was noticed for her role in ‘Happy Husbands’, and Namitha, who was the daughter of Rahman in ‘Traffic’, enact the female leads. Keerthana, a contestant of Munch Star Singer Junior on Asianet who has earned many a fan for her music as well as the long tresses, also makes her foray into acting through this movie. The film is being produced by J Bharath Samuel under the banner of Bharath Creations.